Q. Where is the media viewing room? 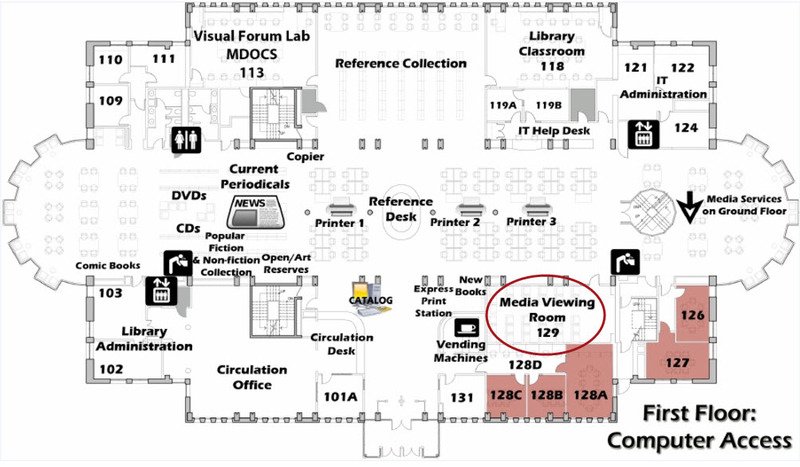 The media viewing room (Library 129) is located on the first floor. As you enter the library make a right. It will be across from the public computers.